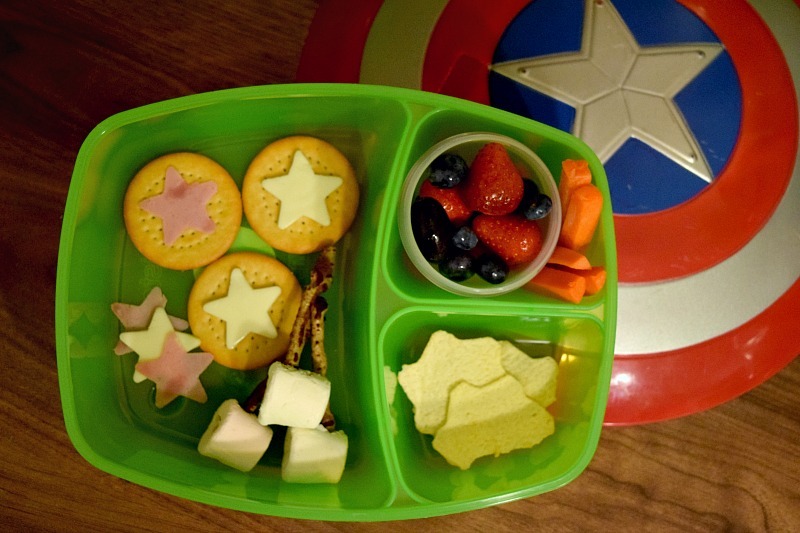 To celebrate the release of Captain America: Civil War this Monday, as well as the start of the new school year for many children across the UK, I was asked to create a superhero themed lunch. For anyone who hasn't yet seen the film, Steve Rogers AKA Captain America finds himself fighting for what he believes in even though it means he is up against half of his fellow Avengers. The team is completely split, Cap vs Iron Man, with a few other popular Marvel characters joining the fight on each team. The film is brilliant, I took Gracie to watch it at the cinema and we both really enjoyed it. In fact she talks about it briefly in her Black Widow Youtube Video, she loved Ant Mans role in the epic fight scene. It is definitely up there as one of my favourite Marvel films so far. If that isn't enough Spiderman makes his first appearance in a Marvel studios film! What's not to love! 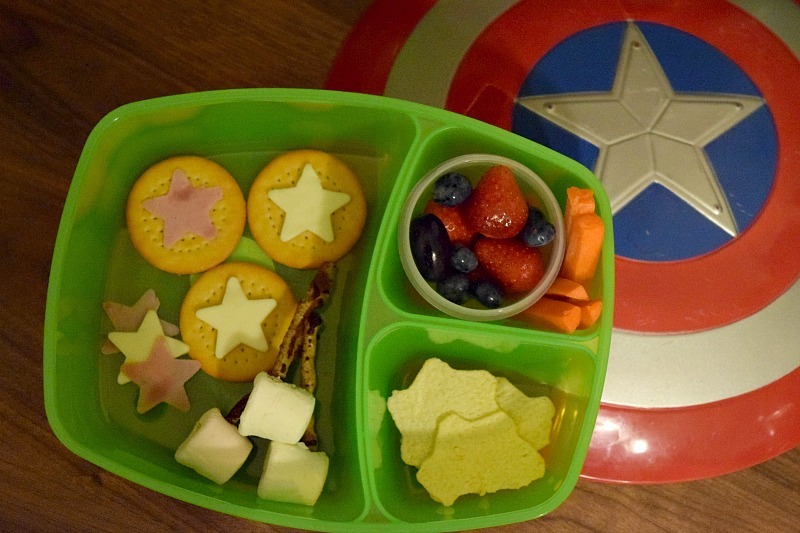 My kids love their superheroes and so here is my superhero themed bento style lunch! I have never done a themed lunchbox before and found it really fun. I will definitely be putting more effort into lunchbox foods this year. 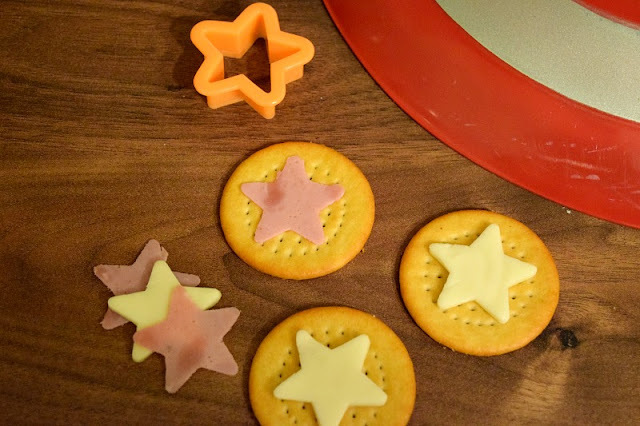 As we are firmly on Team Cap, I started off with these cheese crackers with star shaped cheese and ham slices to make your own shield like Captain America. We also have Mjolnir, Thor's mythical hammer which can only be lifted by those deemed worthy enough of it's powers. 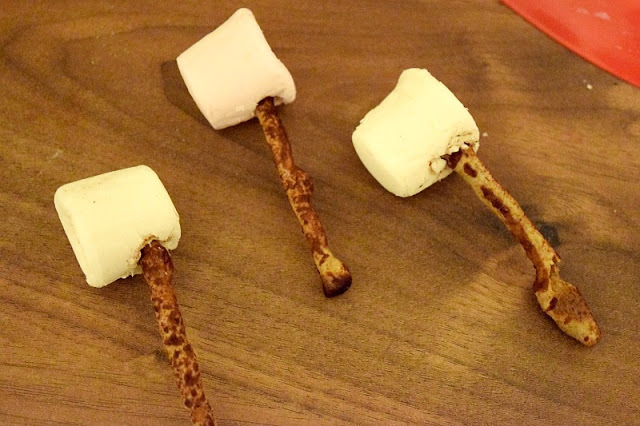 Made from twiglets and marshmallow. The kids thought these were really cool! I also used carrot sticks as batons, star shaped crisps and stuck with the blue/red theme for some nice fresh fruit. Don't forget Captain America: Civil War is available on DVD and BluRay on Monday 5th September. Watch and choose your team!